30stm new các bức ảnh. . HD Wallpaper and background images in the 30 Seconds to Mars club tagged: mars 30 seconds to 30 seconds to mars jared leto shannon leto tomo milicevic. 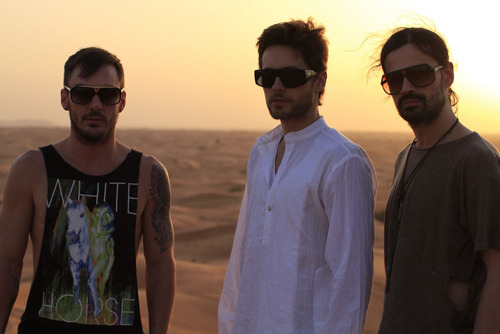 This 30 Seconds to Mars photo contains kính mát, kính đen, sắc thái, and kính tối màu. Shirtless Jared Leto: 30 giây to Mars Concert!